Home BlogKnowledge Does Aluminum Foil Protect Against EMF Radiation? I get this question fairly often, so I wanted to look into it. First of all, to answer your question: Yes, Aluminum foil, much like Aluminum mesh, will shield against most wavelength radio frequency radiation. Even better? Aluminum foil is Super Cheap! Now let’s dive into this a bit deeper and find out how, and why, aluminum foil blocks radiation. Does Aluminum Foil Protect Against Radio Frequency Radiation? Aluminum foil does block, or shield, radio frequency waves. Since the Aluminum is a conductor of electricity, it forms a barrier often called a Faraday Cage, entirely stopping the radio waves. You can try this for yourself. Get a large sheet of aluminum foil, lay it out flat, set your cell phone on top and wrap it up. Now try calling it, the phone won’t have any signal. These radio waves are a form of EMF radiation. The aluminum foil acts as a barrier and completely blocks those waves. If you’ve heard of a Faraday cage before, it’s essentially just a structure, often made of a wire mesh of a metal like aluminum, that completely blocks radio and microwave radiation. The thickness of the metal does not matter, the super thin aluminum foil will work just as well as a thick and heavy sheet of metal. The important factor is that there are no holes larger than the shortest wavelength of the radio or microwaves trying to enter. Have a look at your microwave. Almost every microwave window has a subtle metal mesh layered in. This is a Faraday cage material, like aluminum, made small enough that the microwave radiation can’t exit. Aluminum foil would work well for these purposes, but a better option would be Aluminum screening as is used in the video below. This screening will effectively block both RF radiation, as well as microwave radiation. However, you do need to remember that although Aluminum does block EMF radiation, it does not absorb it. RF and microwave EMF radiation travel in straight lines. Therefore you are only protected if there is a material capable of blocking the radiation directly between you and the source of the radiation. Make sure you are careful using materials like EMF protection paint (read my article on that here) or aluminum in your home if you have wifi or radiation emitting devices because the waves will just be bounced around and can be accelerated and amplified. A better use for aluminum mesh and EMF protection paint would be keeping RF waves out of your home, like lowering the ambient EMF radiation from local cell towers entering your home. Watch the video below to the end to see just how effective Aluminum can be at blocking RF radiation from routers, cell phones, smart meters and more. As you can see from the video, Aluminum foil, or in this case aluminum mesh with holes small enough to block the wavelength, is highly effective at shielding, or blocking, EMF radiation. The best way to do this is to get a quality EMF meter. 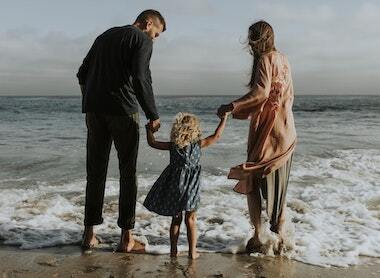 Not only will you be able to test to see how well things like Aluminum foil or other EMF radiation blocking materials are working, but you can also use it for tons of other personal protection. I really love the new TriField TF2 (read my review) as it’s easy to use, really accurate, and measures every kind of EMF radiation. This way you can go around your home or office and see what is emitting harmful EMF radiation and how much. This is also really helpful when you’re trying to implement changes to reduce this radiation to ensure that it is working. 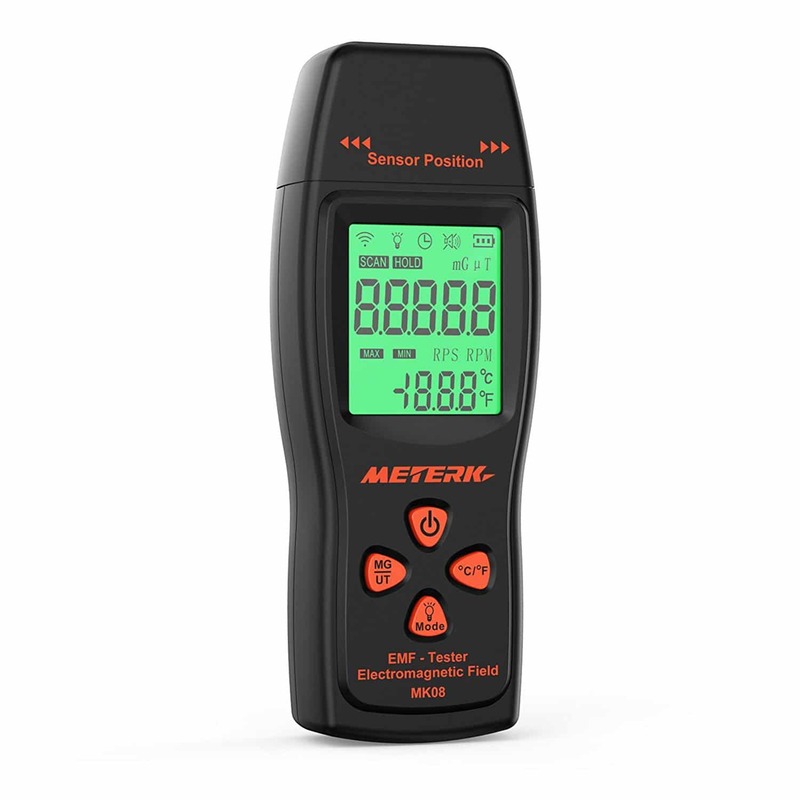 If you read my posts on EMFs In The Bedroom or 11 Ways To Eliminate EMF Exposure, you’ll better understand how you can use an EMF meter to make positive changes in your home. Take a few sheets of aluminum or copper foil, and create a cage with an open bottom large enough to cover your home router. Now slip a sheet of the foil underneath the router. Then take the cage you created and slip it over the router to create a mini faraday cage. The aluminum foil will have completely blocked the WiFI signal and eliminated the EMF radiation. This is great to do at night while people are sleeping and the WiFI is not needed. Take an un-used shoebox or cardboard box, and line the inside completely with aluminum foil. Use tape, glue or adhesive, so that you are not creating holes in the box. You will have created a miniature faraday cage. Use it to block the signal to electronics while you are not using them, or to put your family’s phone inside during family game night! Want to teach your kids about how radio waves work? Use aluminum foil and one of the EMF meters I talked about above to show them how it blocks the signal. Have an old remote control car lying around? Have your kid drive it around for a minute and then cover the car in aluminum foil to show how it blocks the radio signal! 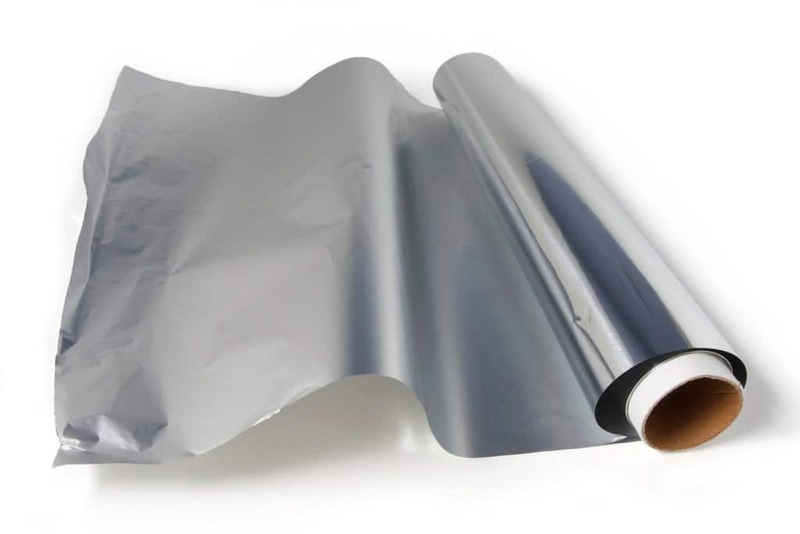 Aluminum foil is really inexpensive, highly effective, and works extremely well for DIY projects around the home. There are other metals that work really well for this purpose and for the creation of Faraday cages. The two other metals that you see most commonly would be Iron and Steel. This is the reason that often times in buildings with significant steel framing, you will have various dead spots where you won’t receive a cell phone signal. Another material that works similarly well as aluminum foil at blocking radiation would be copper. Check out my full post on how copper blocks EMF radiation. If so, please consider sharing it!